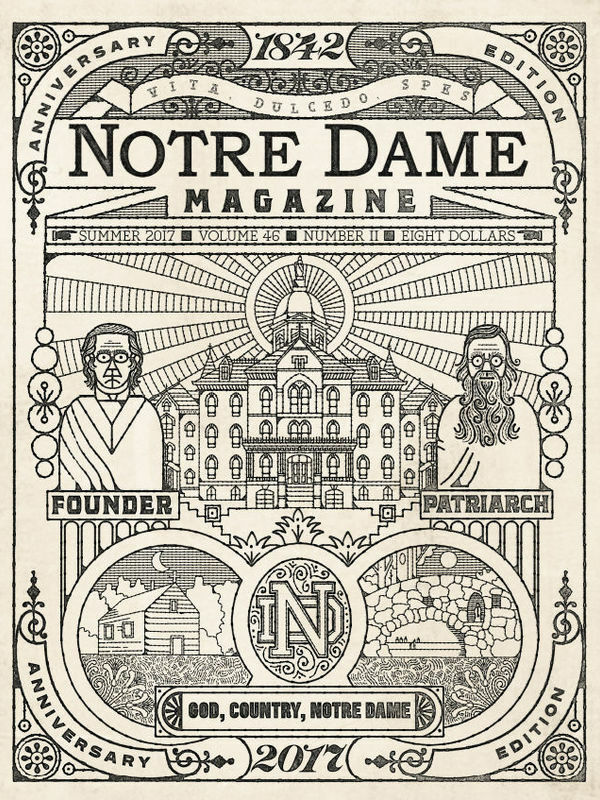 Some things to know about Notre Dame, its life and times. The saga of Father Edward Sorin's journey from France across the American frontier to the place called Sainte-Marie-des-Lacs. Pioneers, priests and warriors invade the Potawatomi world. The story of Father Constantine Scollen reveals the conflicting postures of Church and government toward the people already living on the land. by Sean O'Brien ’95, ’01J.D., ’02LL.M. Thomas Bulla and Father Sorin were neighbors back when fugitive slaves were riding the Underground Railroad, their flight through South Bend aided by the man who lived about where Flanner Hall stands today — and whose sense of "neighbor" followed biblical ideals. For half its existence the University also educated boys aged 5 to 12. A conversation between friends whose work has been examining the place of religion in America highlights some changes in the cultural landscape. by Barry Lopez ’66, ’68M.A. 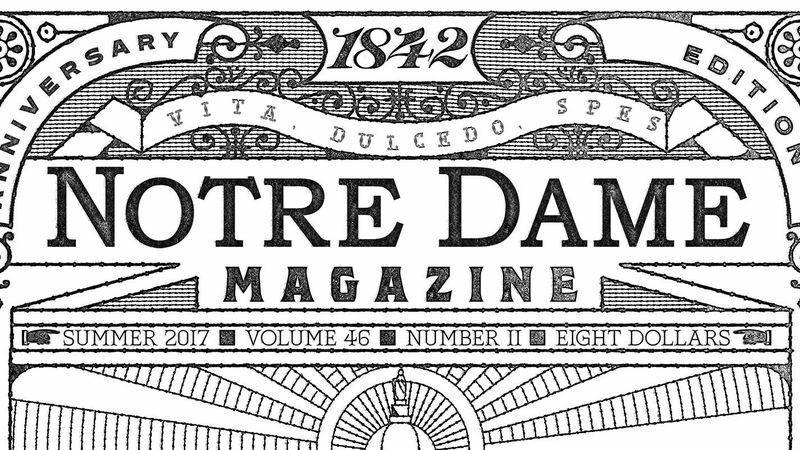 One of Notre Dame's most distinguished alumni speaks of his lifetime of learning and writing — what he found here and later finding what was missing. Walk into the studio of Billy Hassell ’78 within the Fairmount Historic District of Fort Worth, and the birds practically call out to you, shrieking from canvases vibrant with color.